Today's card is a clean and simple two-tone. 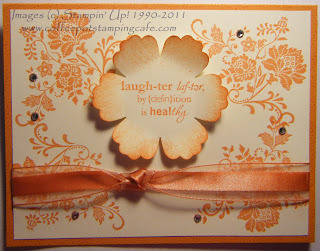 I wanted to try coloring some ribbon so chose the Tangerine Tango for my first try. I really like the way that it deepened the color on the ribbon. It gave just the right amount of contrast. I know I'll be doing this again! 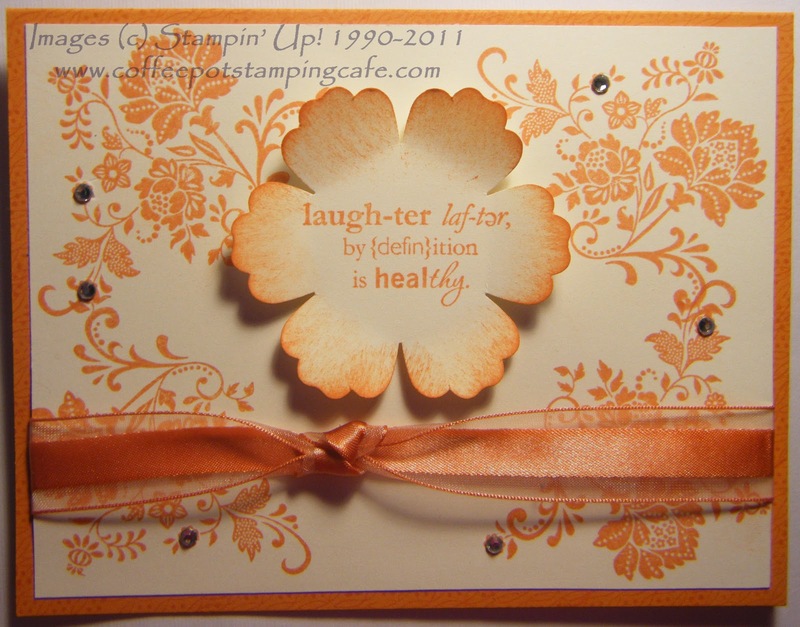 And, there you have it, another card featuring the Fresh Vintage Stamp Set from the upcoming Sale-A-Bration Catalog.